Image Area: 33.5" x 77.75"
Weight: 11 Lbs. | Dimensional Weight: 11 Lbs. 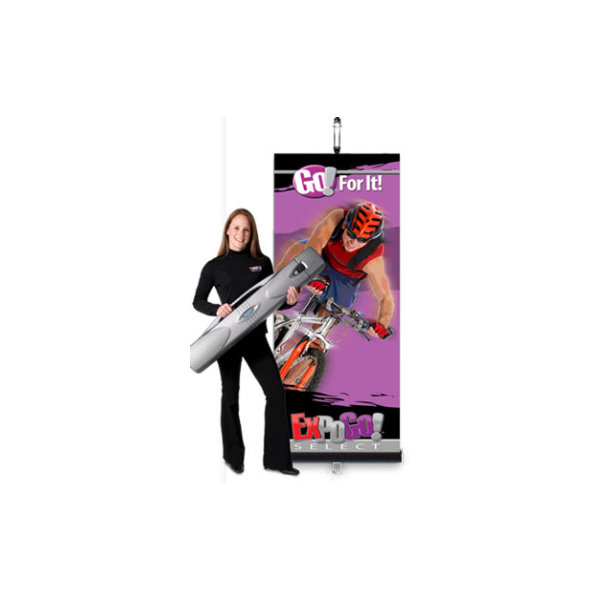 ExpoGo Select Retractable Banner Stand is a standard single-sided retracting banner stand with nylon bag and custom printed graphics of your choosing. Known for its quick set up and banner storage in base, this retracting banner stand system will not disappoint. Optional Lighting/Case Upgrade & Hardware only packages available.